This dish is so simple to make, yet it will make you look like you’re a graduate of Le Cordon Bleu! In fact it is so quick and easy, you can make a mid-week meal feel as if it was a special occasion!! This recipe is bursting with flavor, and sure to become one of your clan’s favorites. You can also give it a whirl with some thick-cut Boneless Pork Loin in place of the chicken, if you’d prefer. I can’t believe that I haven’t posted this recipe yet! 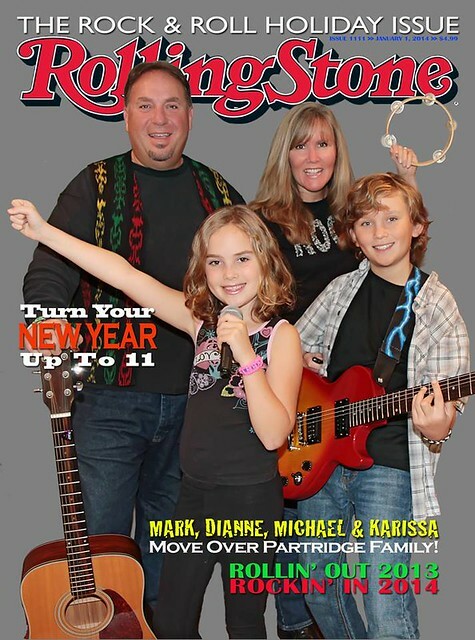 We have been enjoying it for several years around the Cavehold. Plus, it is about to make an appearance on a new episode of C3TV. So, I figured I’d better get it up on here, PRONTO! Enjoy!! Rinse basil leaves, and pat dry. Toast pine nuts until lightly golden (add a pinch of salt, if desired). Mince garlic, and slice cheese. NOTE: While just about any semi-soft cheese will work well, smoked Gouda is a very good choice for this dish. If you want to take it up several rungs on the evolution scale, try some aged Cougar Gold White Cheddar from the Washington State University Creamery. 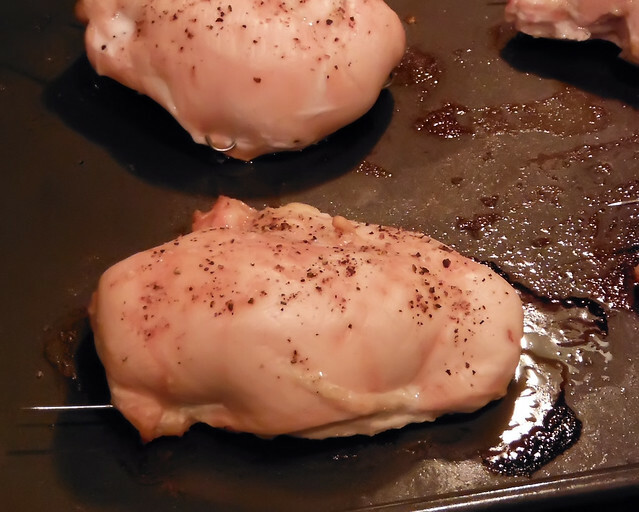 With a sharp knife, cut a pocket into the chicken breasts … taking care not to slice all the way through. 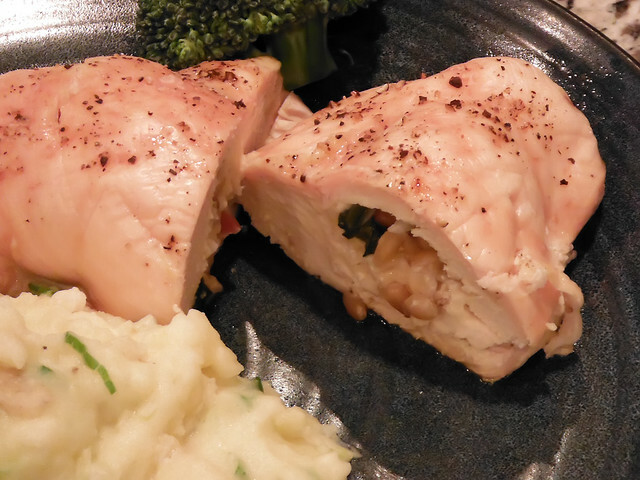 Stuff each breast with one slice of cheese, two basil leaves, 1/2 teaspoon of garlic, and a teaspoon of pine nuts. Then, with a turkey lacer, seal up the hole (sometimes, it takes two lacers). HINT: You can substitute the chicken for some thick-cut boneless Pork Loin. That’s all about the YUM! 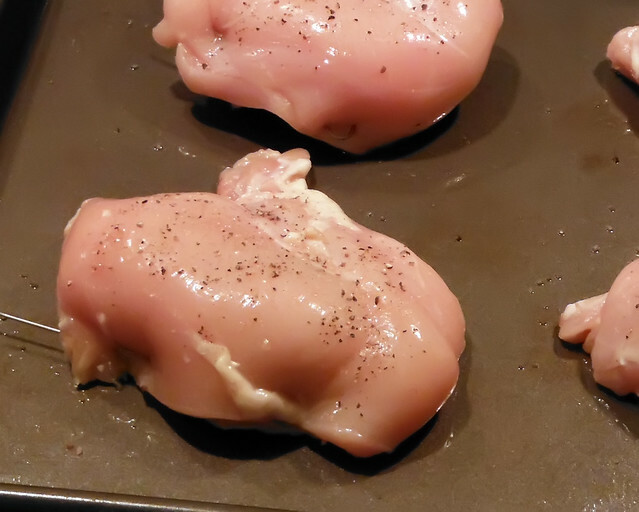 Place finished breasts onto a greased cookie sheet and sprinkle with salt and pepper, to taste. Place into a 400° preheated oven for 35-40 minutes. When finished, remove from oven and, with a couple of forks, remove turkey lacers. That’s all folks! Serve them alongside some rice pilaf or Garlic Mashed Taters and some Sautéed Veggies and you’ll be eating like a King … while only putting in the effort of a Neanderthal! !